Full, sorry. New online course will start mid April with initial self study period. Stay tuned. Learn the finer details of electronic pollution in a basic but comprehensive live–online course. The exposure to EMF radiation from so many sources is only getting worse. By partaking in this program you will learn detailed information about the subject of radiation, assessment and mitigation, in line with the 35 years of practical patient/health client orientated experience of the Geovital Academy in Sulzberg, Austria. You can use this knowledge to take your next steps in live-training or start getting to work helping those around you. Why Live-‘online’ training for EMF radiation assessment and mitigation? Online EMF course in progress. A classroom environment gives personal interaction, but you do need to travel to it and organise somewhere to sleep. We can teach most of our live-workshop by the use of a professional video conferencing system and some one-on-one guidance after the course if needed. We will keep classes small as usual and create a personalised experience by sharing all our webcams. 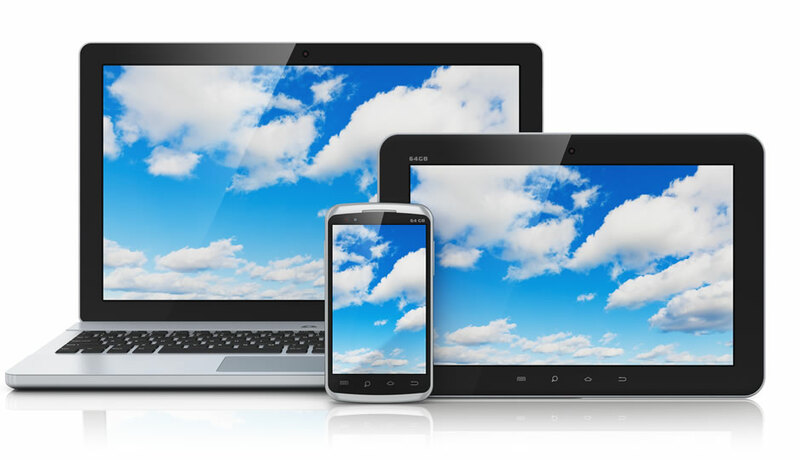 You can learn from the comfort of home, the office, or even on the go using a smart phone. If you were to purchase the needed instrumentation during the course, Patrick is available for a small added fee to observe and critique (using a service like Skype) you executing your own home assessment in your place. This way you can assess your home with Patrick. There are a few ingredients missing compared with our live-workshop, like the ability to test and identify geopathic stress. This sadly excludes you from being an official Geovital consultant or offering the proper Geovital style home assessment with all its ingredients, because you haven’t learned all we have to offer just yet. You can however get to work helping your community or family with their EMF issues after acquiring the needed instrumentation and having done various practice assessments to fine tune your skills. You will have the backing of quality solutions behind you. What will you learn in this online EMF assessment course? the sources of radiation found in modern life and the different types of radiation. the measuring instrumentation Geovital recommends and the logic behind the approach. how to do an assessment and we will show you various purpose made training videos not found on Youtube to enhance your learning experience, the same way we would demonstrate it to you in a classroom or house. elimination and shielding solutions will be explained, their use, limitations and versatility in sound approaches. how you can tell and justify the difference between the performance of our solutions compared to that of cheap alternatives. an introduction in the theory of geopathic stress. our therapy mattresses and how they form an integral part of a healthy bedroom approach that has served well over 250,000 patients. For those who choose to purchase the assessment tools, an optional one-on-one sessions is available to guide you through investigating your own home and the use of the instruments whilst you hold them. For more detail information about this online course on EMF, view its main information page. Please check the below time references if ALL sessions are suitable for you. Swapping between online course is not automatically possible due to restrictions in numbers. Sign up for a course of which all dates and times meet your availability. This table may be incorrect as Daylight Savings time changes can cause errors. Please use the Melbourne time and a simple google search to check what time it is in Melbourne. To prevent missing out on information, please allow for 5 to 6 hours per session. The online course consists of 4 sessions of about 5 to 6 hours with Patrick van der Burght, shared with typically a maximum of 6 to 8 new students. You will need an internet connection, a webcam or smart phone and headset with microphone to participate. If you purchased a set of GEOVITAL instruments during the course (at a reduced rate), you have the option to, for an additional fee of U$400, have Patrick van der Burght observe and critique you performing your own home assessment (up to a maximum time of 2.5 hours) whilst he watches you via an online viewing service like Skype if technology allows it. Learn about EMF radiation from the comfort of your home, office (or smart phone). The fee is payable when registering and as places are limited, the fee is not refundable closer than 6 weeks from the starting date. Conditions apply, see registration form for details. Contact Patrick van der Burght for more information or view the registration form. With only a few spots, and a world-wide audience, spots can fill up fast. We also need to post you some items, meaning you may not receive those in time if signing on closer then 3 weeks prior. pay by using the below link to Paypal. Please wait for confirmation from our office that your payment and registration was successful. NOTE: Scheduled sessions must be attended. Missed sessions cannot automatically be redone during future courses as it would leave you having missed key elements you would need to know before the next planned session. Moving from one workshop to another would also see you take up one of very few spots as we wish to keep things small. If some scheduled session for an online course don’t fit your availability, then please register for a later course in which they do. WARNING: Doing online training can get you on your way to professionally offer assessment services and, subject to conditions, you could utilise our products for your clients. 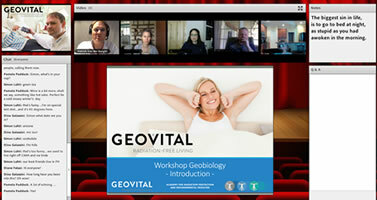 The online course alone does not qualify you to be an official Geovital consultant just yet as you are missing some additional training (mainly regarding Geopathic Stress) which you must experience in one of our Live-workshops first. For other frequently asked questions, visit the Online EMF Course page.